Shincheonji Church of Jesus, The Temple of the Tabernacle of the Testimony Publishes an Official Statement Urging the CCK (Christian Council of Korea) and CBS (Christian Broadcasting System) to Repent. Shincheonji Church of Jesus, the Temple of the Tabernacle of the Testimony (Shincheonji Church of Jesus, Chairman Man Hee Lee) publishes an official statement urging the CCK (Christian Council of Korea), CBS (Christian Broadcasting System) and its affiliates to repent and stop broadcasting false reports. Shincheonji Church of Jesus publicly responded to false reports and to the coercive conversion program that violates human rights by murder. 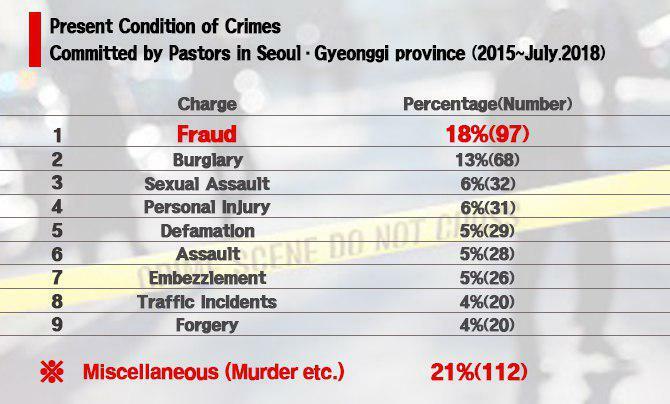 They broadcasted false reports void of any truth and even killed people through coercive conversion programs - which are a clear violation of human rights - in order to limit the growth of Shincheonji Church of Jesus. Finally, Shincheonji Church of Jesus has responded openly about it. The report stated, “Pastors of the CCK have been operating coercive conversion programs and have taught their members lies for the purpose of bringing back members who have fled to different denominations because of pastors' corruption. 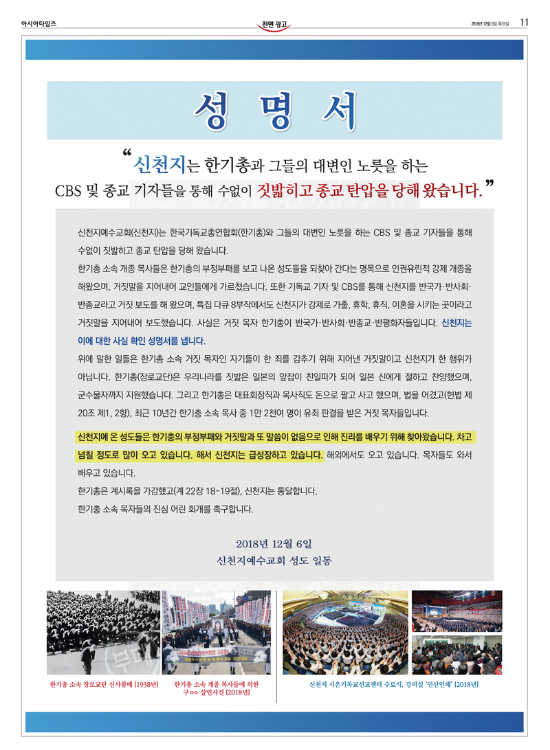 Religious journalists and CBS broadcasted false reports about Shincheonji church being ‘Anti-nation, Anti-society, Anti-religion’, and that it forces its congregation members to take time off their studies or work, run away from home or apply for a divorce through an eight-part documentary aired on CBS which fabricated all sorts of lies.” It added, “Shincheonji church is publishing this public statement in an attempt to verify these facts”. The statement provides concrete and critical analysis about the CCK (Presbyterian denominations). It pointed out that △CCK (Presbyterian denomination) was a pro-Japanese group which worshipped and praised Japanese gods during the Japanese occupation of Korea, and even provided military aid against its own people △CCK has been buying and selling positions as chairman and pastor △CCK violated Article 20 Clauses 1 and 2 (‘Freedom of Religion’ and ‘Separation of Politics and Religion’) enshrined within the Korean Constitution. △In the last 10 years, 12,000 false pastors of the CCK have been convicted of crimes.